[Corrected 10/13/16, 9:10 am. See below.] When California voters go to the polls on November 8, among the many issues they are expected to decide is Proposition 64. If a majority of voters vote yes, the initiative would legalize the recreational use of marijuana in the Golden State for adults aged 21 years or older. Some entrepreneurs, though, are acting as if Prop 64, known officially as the California Marijuana Legalization Initiative, has already passed. On Monday, nine startups began a 16-week program at Canopy San Diego, a new accelerator program for seed-stage companies developing new technologies, products, and services to support the legal cannabis industry. Co-founder and CEO Eric Gomez said Canopy San Diego won’t enroll startups or entrepreneurs who are directly engaged in the cultivation or sale of marijuana or its derivatives. “We’re focused on the picks and shovels, the tents and Levis,” Gomez said, likening their role in the budding legal cannabis business to the merchants who got rich selling gear to the miners during the California gold rush. “We like what Eric calls the boring back-end software,” said co-founder and managing director Jack Scatizzi, referring to a company’s internal, business-related software and the operating system that controls how a consumer-facing website operates. Gomez said he was inspired to start Canopy San Diego after spending time at CanopyBoulder, the cannabis industry fund and accelerator founded in 2015, less than three years after Colorado voters approved a similar marijuana legalization initiative. The Boulder-based accelerator expanded this year to Northern California, and enrolled its first nine startups in Berkeley on August 29. While the Colorado-based founders are overseeing the new Berkeley accelerator themselves, they agreed to a franchise deal with Gomez for Canopy San Diego, said Micah Tapman, a CanopyBoulder co-founder and managing director. 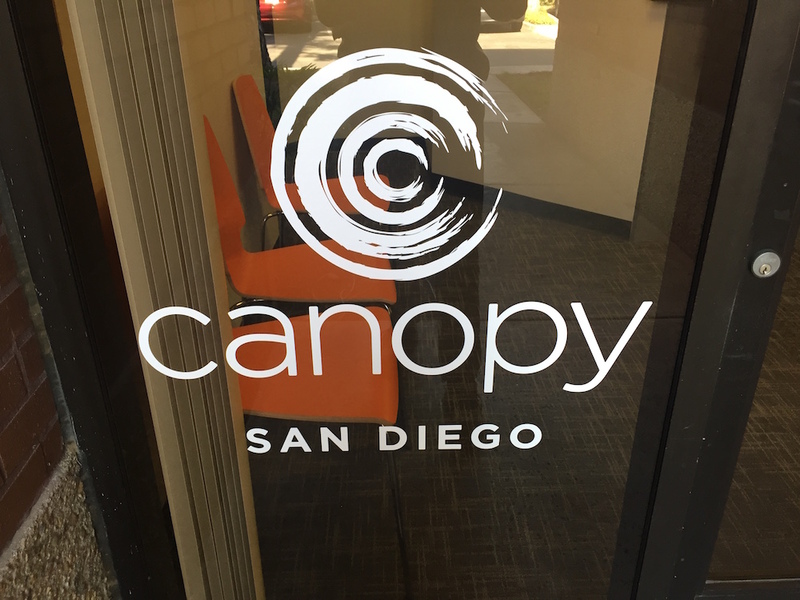 He gave a business presentation to Canopy San Diego’s first class Monday, and has been working with Gomez and Scatizzi to standardize the franchisee’s program and processes. In founding CanopyBoulder, Tapman said he and co-founder Patrick Rea were struck by the phenomenal growth of the cannabis industry. [Revised to clarify that Canopy did not alone invest all $14 million] In Boulder, Canopy is in the middle of its fourth cohort, Tapman said. The Colorado accelerator has enrolled 38 portfolio companies so far, and they have raised a total of $14 million. Tapman counts three portfolio companies as failures, and said there have been no exits so far—but the cannabis industry in Colorado is on track to grow by 30 to 40 percent this year. A poll released in mid-September found that a clear majority of California voters support marijuana legalization, and Prop. 64 is expected to pass. And in fact, California surpassed France as the world’s sixth-largest economy, based on 2015 economic data. With recreational marijuana use legalized in Alaska, Colorado, Oregon, and Washington, legal cannabis sales in the United States totaled $5.7 billion in 2015—a number estimated to grow by 25 percent this year to $6.7 billion, according to ArcView Market Research. (The ArcView Group is a partner in CanopyBoulder). By 2020, the cannabis industry is projected to hit $21.8 billion. “It’s a cash crop,” Tapman said, referring to an agricultural crop that is easily marketable, and grown more for its commercial value. But marijuana hasn’t benefitted from the kind of innovation in technology and cultivation that agriculture has applied to tobacco and other cash crops, Tapman said. State regulations in Colorado also prohibited anyone who has not been a Colorado resident for at least two years from investing in marijuana cultivation, processing, or retailing, Tapman said. “We were driven by the regulations to create [ancillary] businesses so we would not have to police our investors,” Tapman said. But such regulations have not limited Canopy’s opportunities. If Canopy startups can figure out how to shave 10 percent off the marijuana growth cycle, or to save 10 percent on water used for irrigation, Tapman said they would have created profitable technologies that could be applied to other agricultural crops. In San Diego, Gomez said each startup that enrolls in the accelerator program gets a $20,000 investment that encompasses seed capital, office space, and mentoring services in exchange for an equity stake that ranges from 6 percent to 9.5 percent. Three companies from each cohort also will get $50,000 in follow-on funding. In addition, individual investors in Canopy San Diego’s fund also may invest directly in startups, Gomez said. The accelerator’s founding partners include Lincoln Fish, CEO of OutCo Labs, which cultivates marijuana and operates a medical marijuana dispensary in suburban San Diego. “In a couple months, they will be by far the largest vertically integrated cannabis operation in Southern California,” Gomez said.